Faf du Plessis scored a ton in the first ODI against India at Durban. South Africa’s injury scare doesn’t seem to end as their skipper Faf du Plessis has now been ruled out of the remaining limited-overs series against India owing to a finger injury. Du Plessis scored a scintillating 120 off 112 balls in the ODI series opener in Durban on Thursday (February 1). All-rounder Farhaan Behardien and wicketkeeper batsman Heinrich Klaasen have been drafted into the squad for the remaining ODIs. 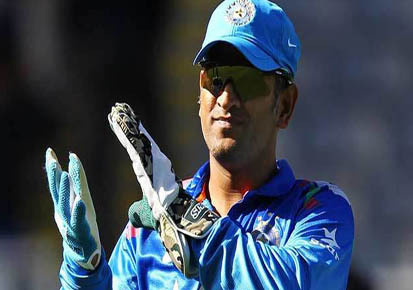 The captain for the remaining ODIs will be announced on Saturday (February 3). Prior to the start of the ODI series, Proteas batting maverick AB de Villiers was ruled out of the first 3 ODIs with a finger injury. De Villiers was hit on his finger during the third Test at Wanderers and was consequently advised rest for upto two weeks. 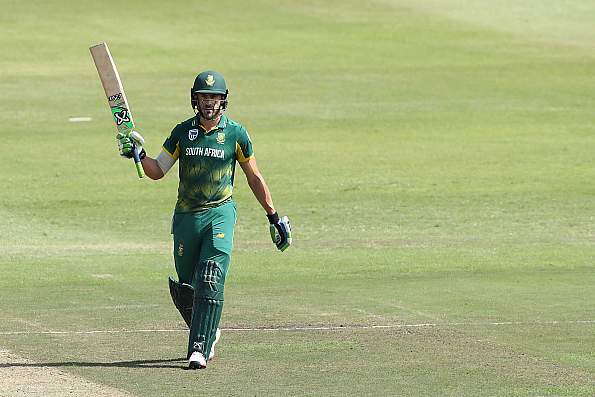 Du Plessis' century was the lone bright spot in South Africa's batting display in the first ODI as Yadav and Chahal scalped 5 wickets in the middle overs to restrict the hosts to 269. India chased down South Africa’s total of 270 in 45.3 overs with skipper Virat Kohli scoring his 33rd ODI century and Rahane playing a crucial 78-run innings. The second ODI between India and South Africa will be played at SuperSport Park, Centurion on Sunday (February 4).